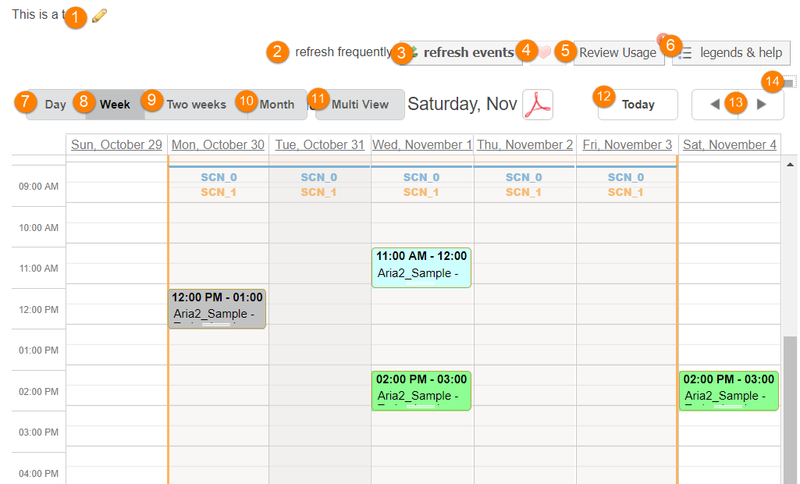 To access the calendar for a resource, click on the "View Schedule" button to the right of the calendar name, as displayed below. Add/Edit a note: You may add a note to this header section to display special instructions or notes you want visible to the user. refresh frequently: A visual reminder to use the refresh button frequently to make sure the calendar display reflects the most current reservations. refresh event: Refreshing the calendar and update it with the most current reservation information. 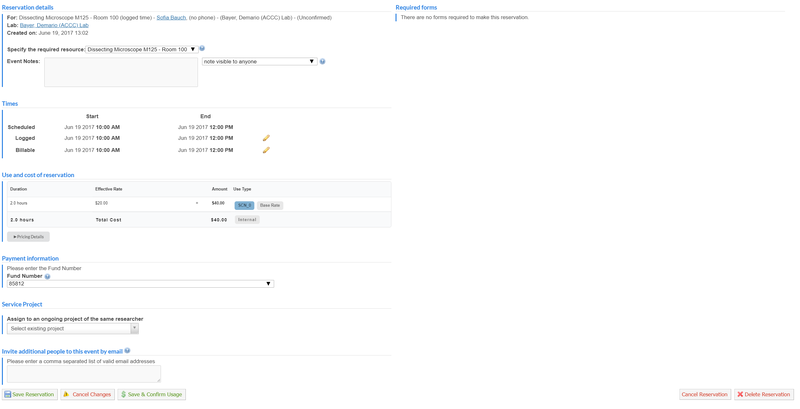 Review usage: The Review usage button will direct core admins to the older 'Confirm Usage' tool. Two weeks: Two week calendar view. Multi View: Displays multiple instances per one calendar. Instances are additional resources with the same rules and restrictions that can be managed and scheduled from the same calendar. Forward/Backward: Dependent on the calendar display, this option will allow you to move forward or backward to the next calendar view. Hide Details: Click this icon if you would like to hide all the options listed above and view ONLY the calendar. As a core admin, you can view and edit any past or future reservation currently on your calendar. To do this, click on the menu icon to the left of the reservation or double click on the reservation to open the reservation details page (below). Click "Save Reservation" to save the updated reservation details. As a core administrator, you typically have two options available to remove reservations. 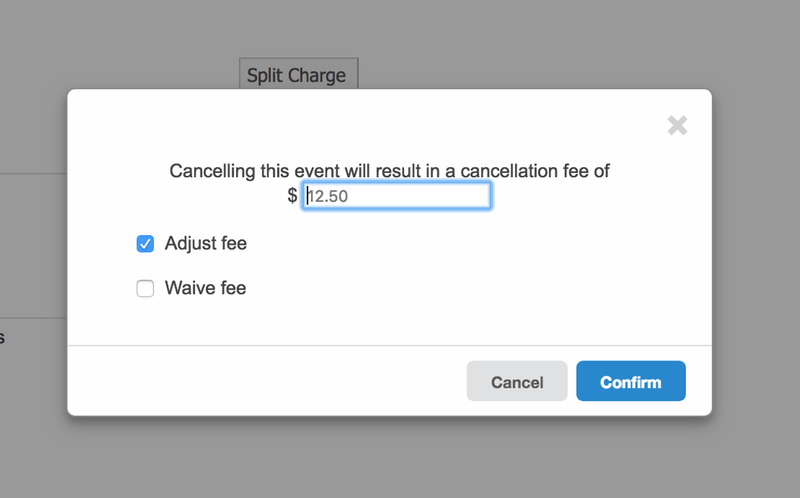 Delete reservation: This option will completely delete the reservation and release the reserved time. No record of the reservation is kept for billing or reporting purposes.